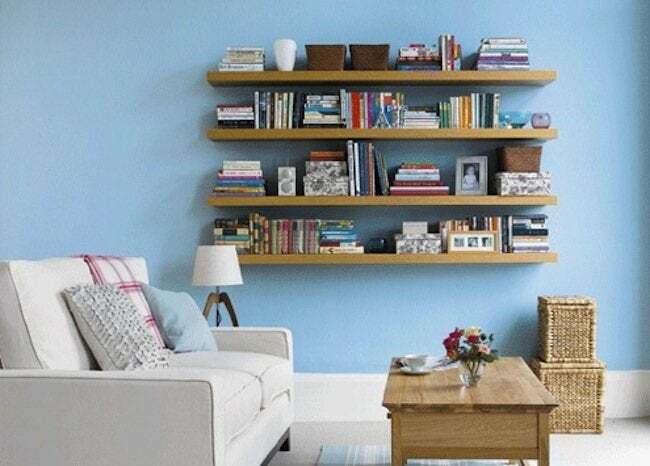 Promote rest and relaxation in your nightly refuge from the world at large with thoughtful, stylish, and budget-friendly DIY bedroom storage solutions. At the end of another long day, doesn’t everyone want—or even need—the bedroom to be a place of peace, a relaxing refuge removed from the rest of the world? And let’s face it: Messes are stresses. If you’ve been too busy lately to organize your boudoir, devote time to DIY bedroom storage projects this weekend. Corners get a bad rap. People assume they’re good for nothing. 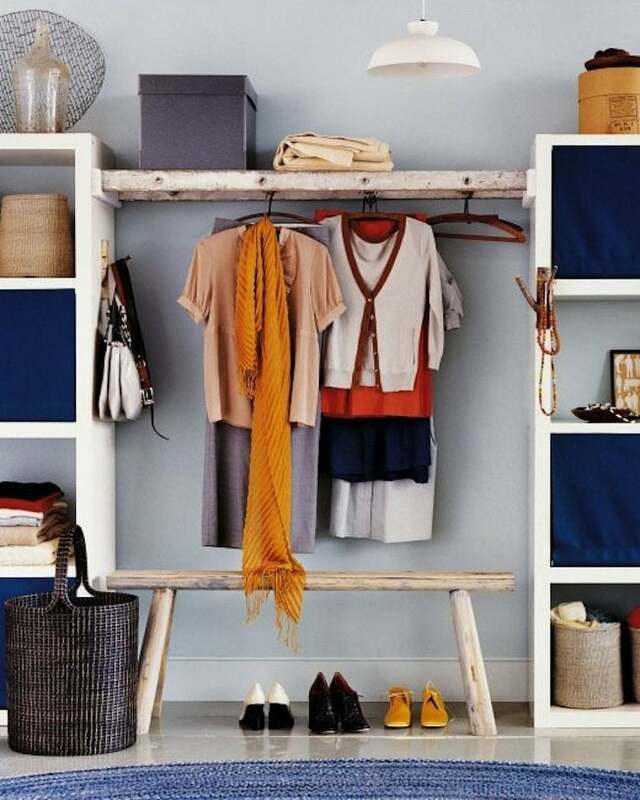 But in the case of DIY bedroom storage, corners become very valuable, if only because they are so often left empty. Fill yours with a wooden magazine holder (Design Sponge), a space-saving corner table (Martha Stewart), or floating shelves (House of Rose). Some grumble over not having a walk-in closet, but others must suffer bedrooms with no closet space whatsoever. For those miserable unfortunates, there’s the option of creating a walk-by closet like the one pictured. Here, a vintage ladder bridges two shelving units, and a bench sits between. So simple, and so effective. Like skinning a cat, there is more than one way to store clothing. 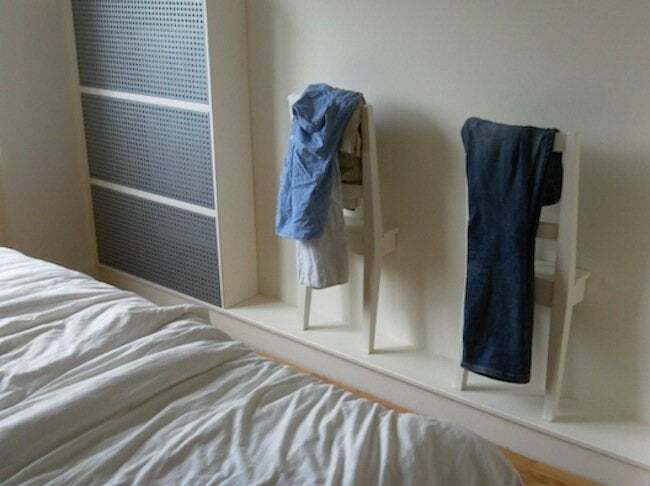 If you love quirky minimalism—and frankly, who doesn’t?—check out this funky yet functional IKEA hack. Surprisingly, vintage suitcases also lend themselves to DIY bedroom storage solutions that are at once decorative and effective. Cutting clutter plays a major role in successful DIY bedroom storage, so it’s time to finally hang that poster you bought at the museum gift shop last year. Wood-mounted artwork, clipboard displays, and picture frame collages stand out among countless gallery wall project inspirations over on Apartment Therapy. 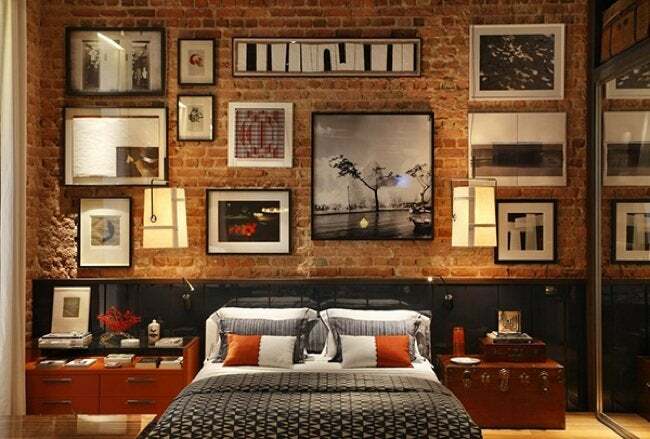 Especially in small bedrooms, bulky standalone storage units hog what precious few square feet there are available. 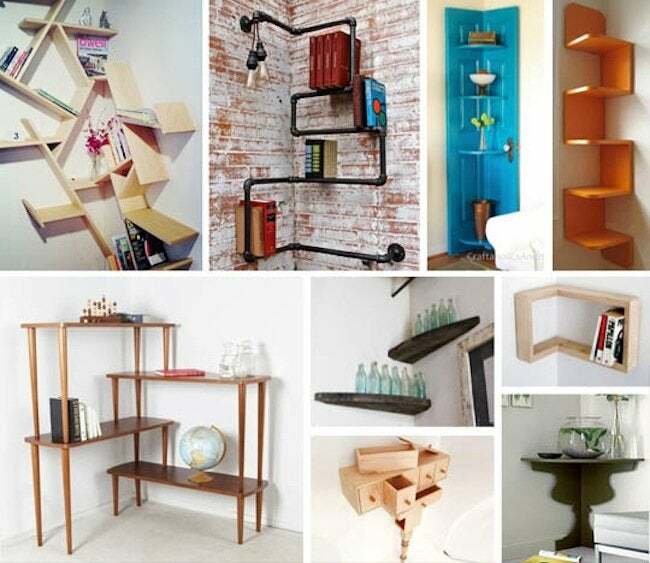 A space-saving alternative is to install floating shelves. You can achieve this sophisticated modern look on Saturday morning, leaving the rest of your weekend free for browsing bookstores!